SOLID COLOR - Our solid color process involves two coats of our industrial strength polyaspartic product. This process has many different uses and can be installed in as little as one day. 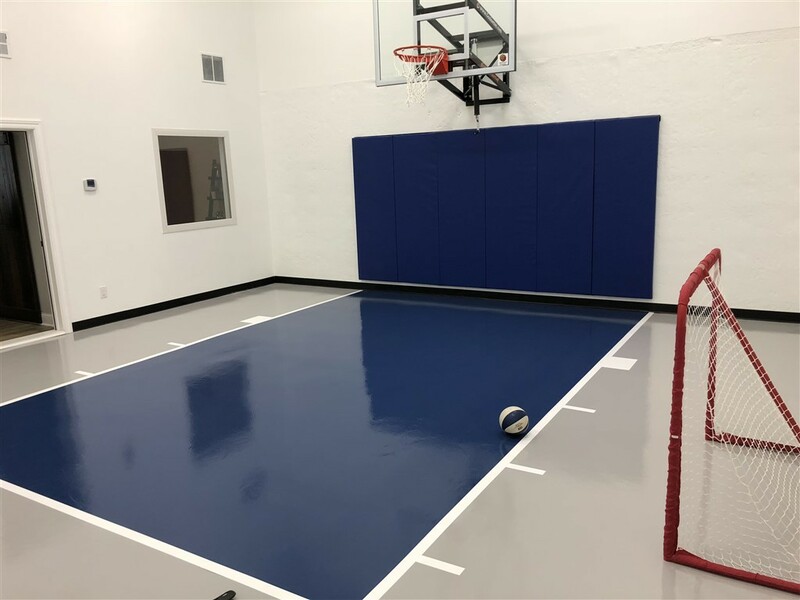 It has been used in areas as simple as a utility room, as well as more complicated areas such as indoor basketball courts. With a dozen stock color options, in addition to fully customizable colors, you are sure to find the right color combination for you. It provides a durable finish that is easy to clean and is salt, chemical, and slip resistant. RANDOM FLAKE - Our random flake process involves three coats of our industrial strength polyaspartic product with a partial flake broadcast into the 2nd tinted coat, which is then sealed with a top coat. We have a multitude of different color and size flake options, as well as different color options for your base coat. We can use this process in basements, mechanical rooms, garages, as well as commercial uses. It provides a very durable finish with a showroom feel. The surface is easy to clean and is salt, chemical, and slip resistant. FULL FLAKE - Our full flake process involves three coats of our industrial strength polyaspartic product with color flakes broadcast into the 2nd tinted coat and then sealed with a top coat. With your entire floor covered in flakes, it creates an extra layer of durability. 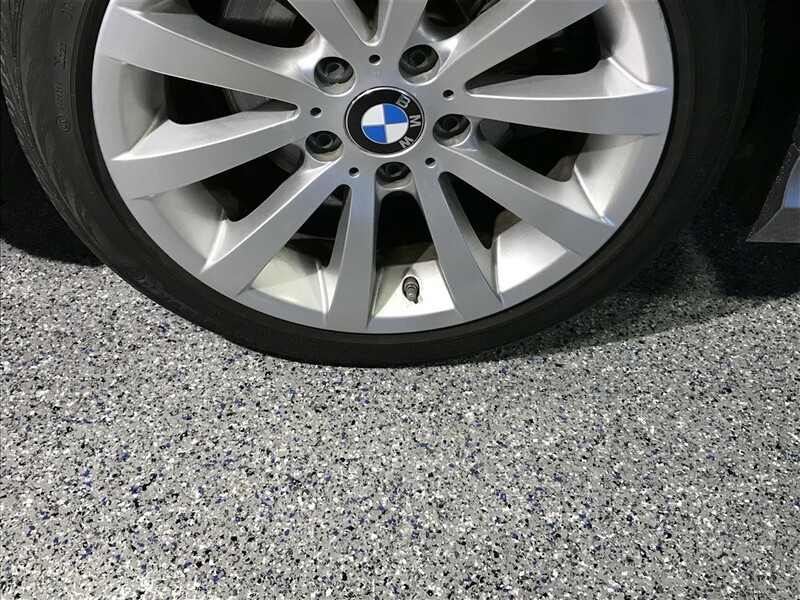 We offer a multitude of different flake color and size options to customize every floor. Whether you want to match the outside of your house or the inside of your garage, we have you covered. 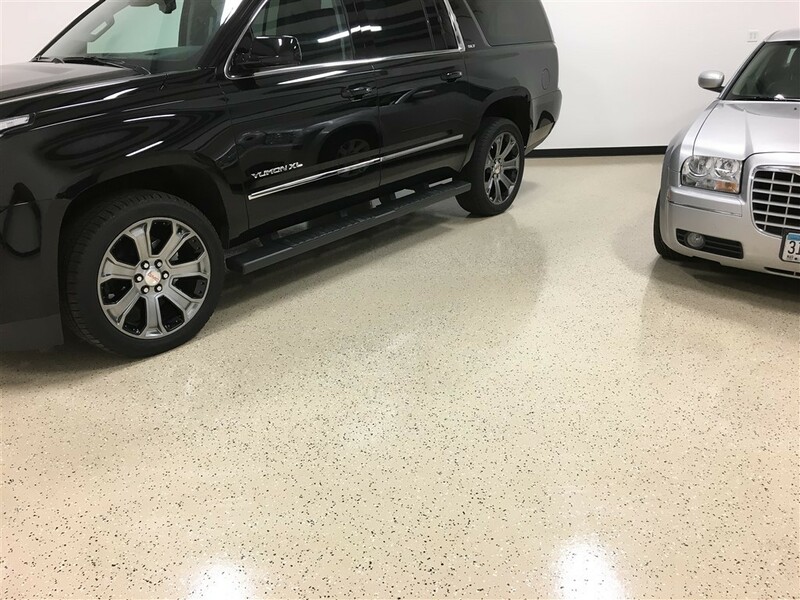 This process is by far the most popular choice for garages, but because of its decorative look and durability, it is also applied in basements, mechanical rooms, and commercial spaces as well. The finish provides a non-slip yet easily cleanable surface that protects your concrete from salt and chemicals. 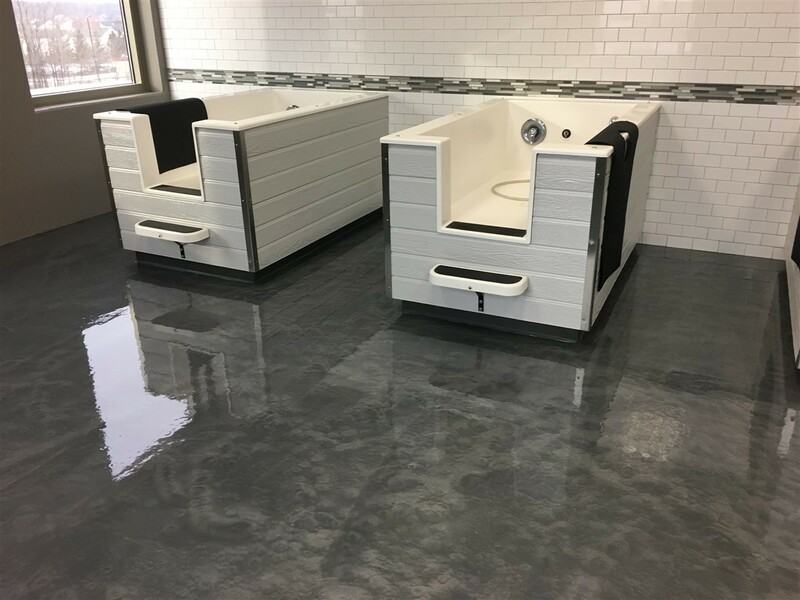 METALLIC - Our metallic process involves two coats of epoxy with a metallic additive and a polyaspartic top coat. As the floor coating material settles and starts to cure, the metallic creates its own design. We can swirl it with rollers or spray in a design effect to provide the look you want. With multiple metallic color options, we can create a marble look with plenty of color variance. Generally we are applying this process on interior living spaces, but it can also be applied in garages. Because of its stunning appearance, it's a desirable application for commercial projects such as liquor stores, boutiques, hair salons, etc. The finish is salt and chemical resistant.